» Link Building: What Is It And Why Should You Do It? Link Building: What Is It And Why Should You Do It? 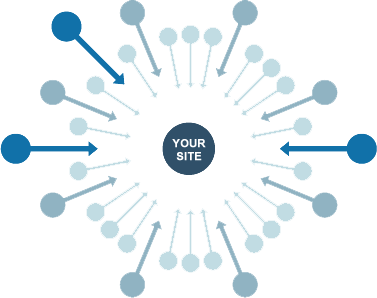 Link building is the process of getting external web pages to link to a page on your website. Links are the streets between pages as search engines crawl and index the ever-expanding expanse of the web. According to Moz, “Since the late 1990s search engines have treated links as votes for popularity and importance in the ongoing democratic opinion poll of the web.” Over time, the search engines have refined the use of the link data they index and are able to perform detailed evaluations of sites and pages based on the data they receive from the links to a webpage. Links allow the search engines to determine the popularity of websites and webpages based on the overall number of pages and the popularity of the pages that are linking back to the website in question as well as through the use of metrics such as trust, spam, and authority. Why should I invest time and resources in Link Building? What are some examples of Link Building Strategies? Introduction – This should basically introduce yourself, identify the article that your company was mentioned in and thank the author of the article for mentioning you. Closing – Thank the author/webmaster again for mentioning you in their article and, if they choose to add the link back to your website, you may have opened the door to a source of future backlinks. Develop Content for High Domain Authority Sources – If you are focused on growing the “story” of your company, you are probably already looking for ways to generate content externally to spread your message. A way to incorporate the improvement of your backlink profile, while focused on getting links from high domain authority sources, is to put together a list of websites that you feel would be willing to use the content you are developing, check their Domain Authority score using Moz, and then focus one the development of content that you feel will be willing to be used by websites with the highest domain authority on your list. PROTIP: It may take some relationship development to get your content added to these websites, so feel free to make contact with these companies you are hoping to use a source to initiate the conversation about adding content that contains a link back to your website. If you need any help with link building strategies, please feel free to reach out to us at Anvil Media.